Do you feel like you’re missing your newborn’s “window of opportunity” to sleep? 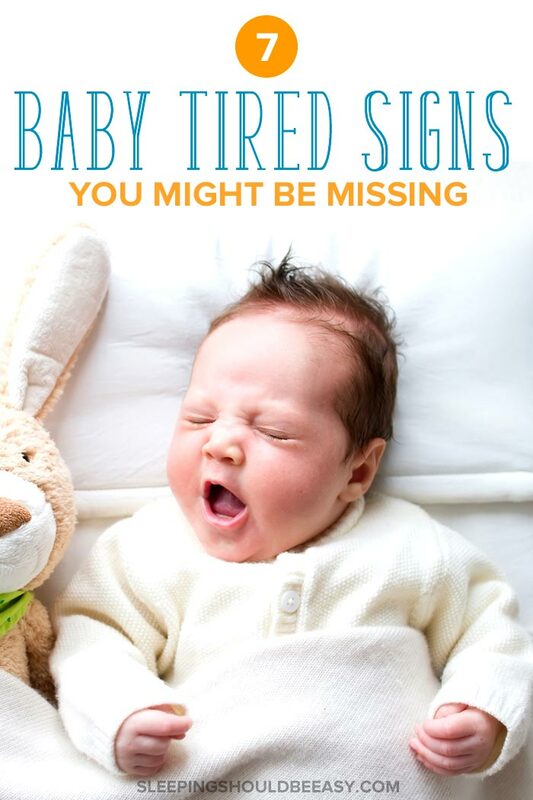 Take a look at these 7 overlooked baby tired signs you might not be noticing! Long before I was pregnant, I watched an episode on The Oprah Winfrey Show where a woman described different baby cries. Each cry, she said, would let you know what the baby needed, from food to sleep. The idea was to “catch” your baby’s signs before, say, he became too tired to sleep well. This is brilliant, I thought, and pocketed this bit of useful information should I ever have kids. Well… fast forward a few years later when I did have a baby, and I couldn’t for the life of me tell one cry from the next. They all sounded the same, which was basically, “I’m so mad right now!” He seemed to go from happy to inconsolable with no baby tired signs in between. And as we all know, cranky babies don’t make for good sleep, and the cycle only continued on and on. At one point, my little newborn was awake for a whopping five hours, unable to sleep. I felt horrible for not being able to identify my baby’s signs, and took that as a sign that I had no idea what I was doing. If your baby doesn’t show tired signs, you’re not alone. Perhaps you’re not picking up your baby’s “window of opportunity” to get her to sleep well. By the time you put her down, she’s already overtired and restless. You can’t seem to figure out these elusive baby tired signs everyone is talking about and swears by. Well, three kids later, I got a bit more “practice” on picking up these signs, and listed them below. 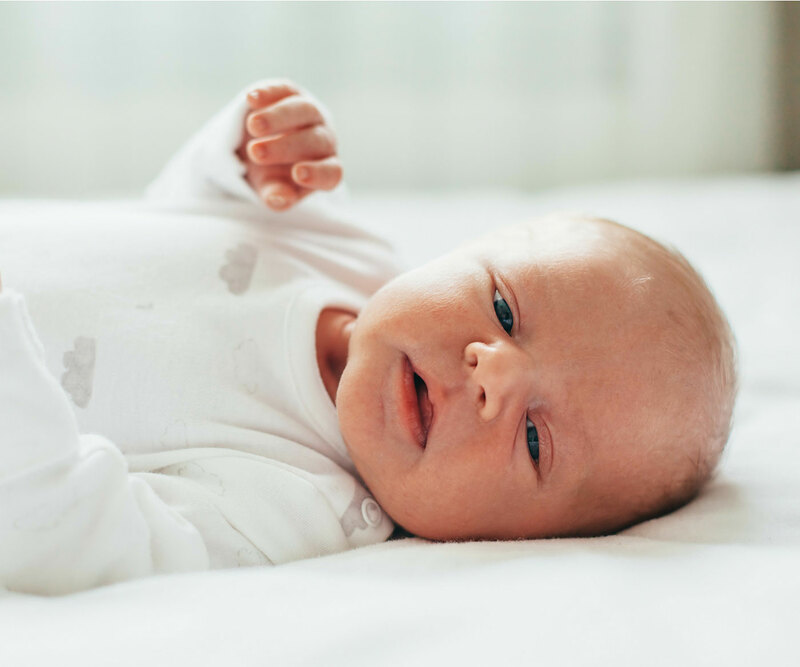 If you’d like to see the baby tired signs — some common, many not so — that likely show your baby is ready to sleep, check them out below. The trick with all these baby tired signs is to get her to nap once you see them and before she gets too tired. 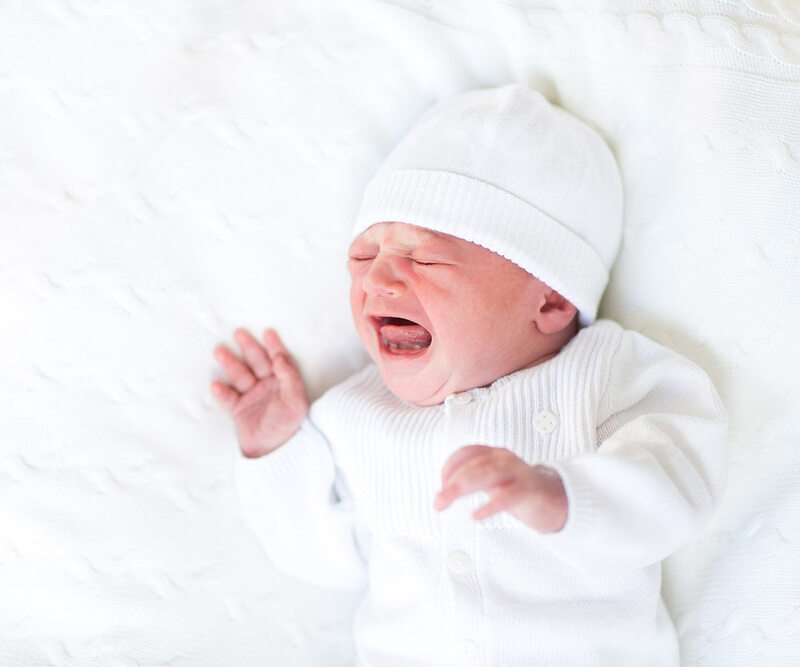 The most common sleep sign is perhaps a baby’s yawn. Like anyone ready to sleep, your baby will yawn when she’s tired. A good way to keep track is to put her down for a nap before she yawns three times. Any more than that, and she might be too tired for a restful nap. Observe your baby and note how she looks when she’s alert and playful. Then, watch out for when she starts to look a bit more… dazed. Where it looks like she’s just staring off at a distance. She might avoid eye contact or even close her eyes when you’re talking to her. Discover when newborns get easier. Beyond her face, take a look at her energy and engagement. A lack of interest is one of the baby tired signs indicating she’s ready to sleep. What does that look like? She might slow her movements down—whereas she was batting at a toy minutes ago, she might now just hold it in her hands. She also might not smile in return, even as you coo and smile at her. And her body just “slumps” with zero energy in it. Your baby’s eyes are one of the best telltale baby tired signs to rely on. After all, it’s one of the most visible cues we’re asleep—whereas our nose or mouth may look the same, closed eyes are often a sign we’re asleep. The same is true for your baby. Tired eyes might look like red eyelids, or eyelids half-closed. Her eyes can also seem heavy, watery, or slow to blink. She might even cover her eyes, whether with her hands, a small lovey, or even outright close them shut, to block out the stimulation. Does your baby rub her eyes? She might be giving you a sign that she’s sleepy. It’s not just eyes, either. She might rub her eyebrows, so much so that they can turn red. Or she’ll reach for her ears or the top of her head and rub those parts, all indicating that she’s sleepy and tired. Even though I couldn’t tell one cry from the next with my eldest, I learned to pick up the cues when I had my twins a few years later. For instance, your baby might cry in a “complaining” kind of way, sort of like “baby whining.” It’s her way of saying “I’m tired, I want to sleep” and might be frustrated that she isn’t. Compare that to other cries that might indicate anger or fear, for instance, and it’s usually a “mewing” kind of noise, as opposed to an outright yell. Learn how to get an overtired baby to sleep. These actions are her way of trying to get comfortable or lull herself to sleep because she’s tired. I want to reassure you that nailing (or not) these baby tired signs doesn’t make you any better (or worse) as a mom. In fact, after a while, I simply threw my hands up and relied on my baby’s awake time as a sure-fire way to know when exactly to put him down to sleep. 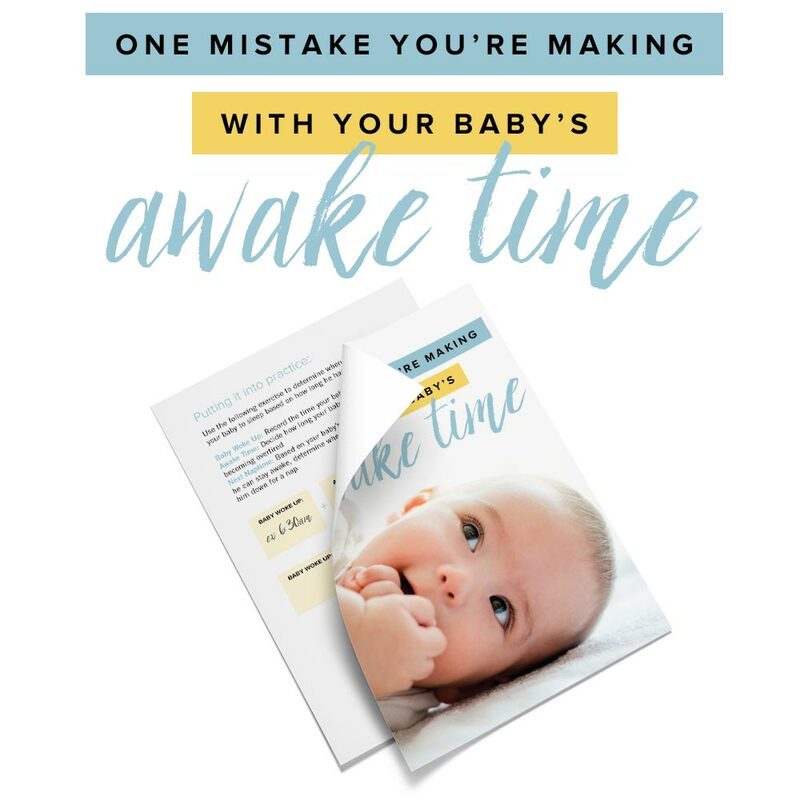 So, if you’re done with looking for baby signs, it’s totally okay to “go by the clock” or at least use it as a gauge or even as a supplement to knowing when the next nap should be. For instance, let’s say she was fussy when you put her down after being awake for 90 minutes. 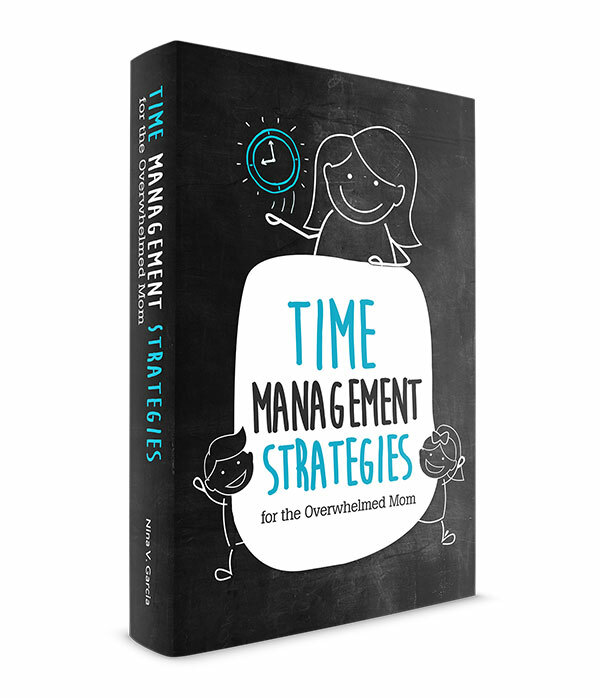 One thing you can do is shorten her awake time in 15-minute increments, so that the next time, you only keep her awake for 75 minutes. As a first-time mom, nailing those baby tired signs can feel like a strange language we’re not equipped to understand. But sometimes it takes observing and doing the best you can to help your baby sleep well. And if all else fails, going by the clock helps as well. If anything, never feel bad because you can’t tell one cry from another—they sometimes all sound the same to many of us. Did you like this article about baby tired signs? Share it on Pinterest and Facebook!